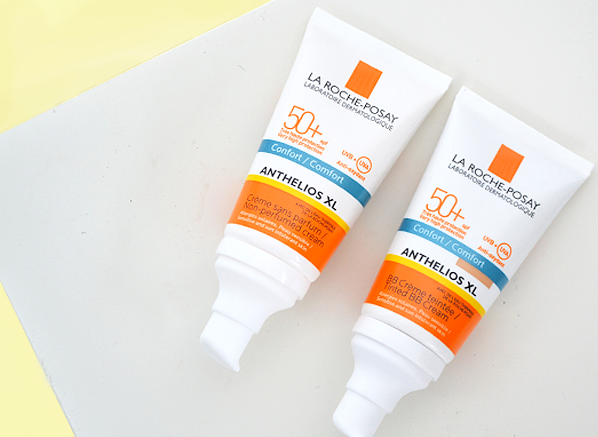 Which La Roche-Posay Anthelios SPF Should I Be Using? We all know that summer isn’t the only time to protect your skin from the sun, but are you sure that you’re using the correct SPF levels and skincare textures to keep your skin healthy and happy? I’ll hold my hands up, I haven’t got it right in the past – slap my wrist! I bet you’ve experienced unwanted breakouts and a ‘lobster-esqe’ glow from choosing the wrong sun care, right? 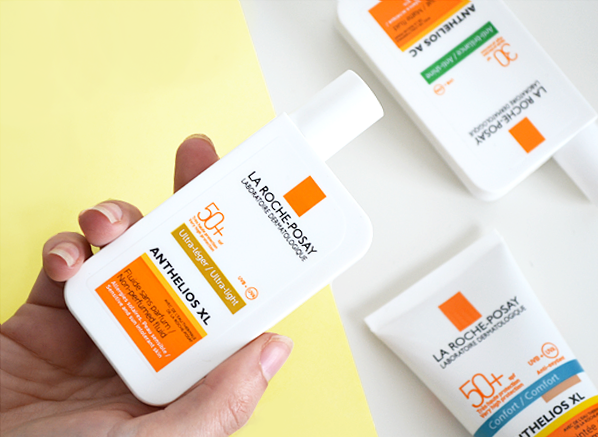 Luckily for us, the experts at La Roche-Posay have made it super easy for us to stay protected, even when we’re not jetting half way across the world. 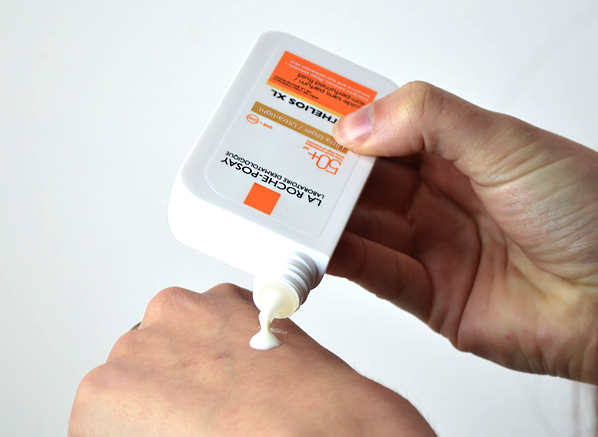 After listening to our customers’ concerns and re-living my own experiences with sun care, I’ve learnt that one size doesn’t fit all and low-grade formulations just won’t cut it (there’s a reason why the Anthelios range has won multiple awards). 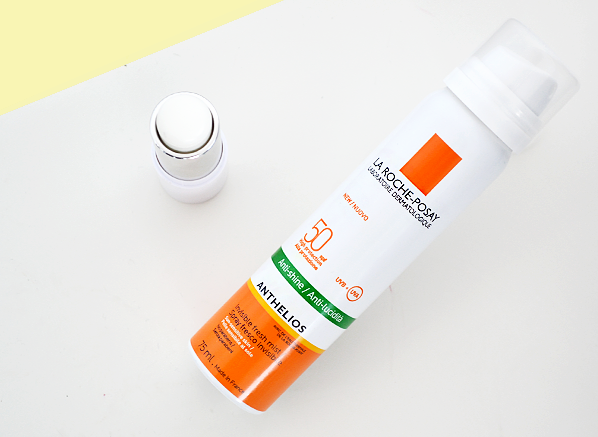 Are you ready to discover your new essential facial SPF below? All with 1/3 off until 15th June 2017. Selecting the right level of SPF for your face can be tough, as you shouldn’t have to compromise on texture and ingredients. Recommended by UK dermatologists, the Anthelios range ensures you can reap the benefits of expert skincare solutions and the highest level of UVA/UVB protection, even if you have sun intolerant skin. Did you know that exposure to ultraviolet light from UVA or UVB rays accounts for 80% of the symptoms of premature ageing? 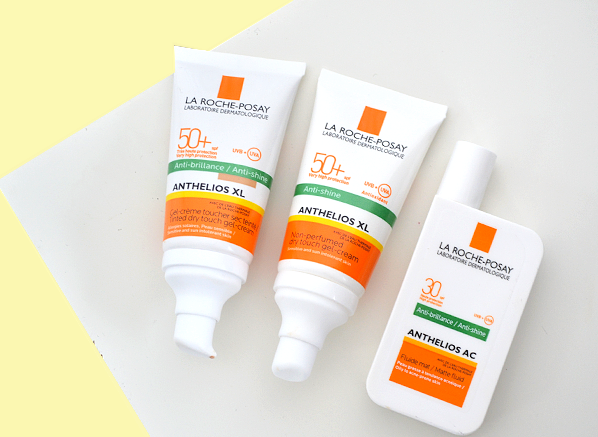 Therefore, La Roche-Posay only believes in high protection to keep your skin protected from sun damage and fine lines. 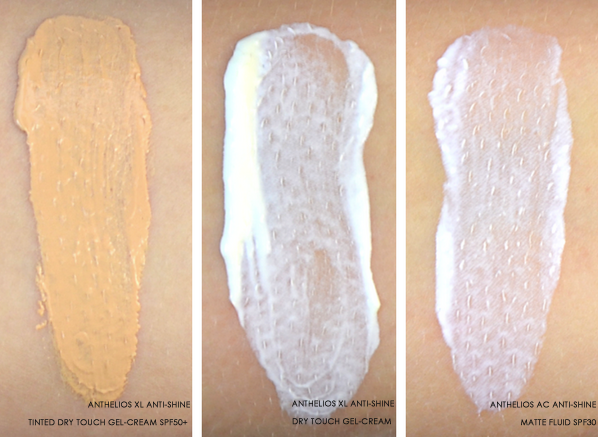 With each SPF available in three textures to suit your skin type and concern, the Anthelios range is easily colour coded to help you find your perfect skincare match. This popular facial SPF is ideal for those with sensitive or normal to combination skin types. Completely photostable with zero white mark residue, its high UVA/UVB protection is thin and lightweight. The fluid gently hydrates whilst defending your skin from premature ageing, without the usual sticky and generic SPF feel. 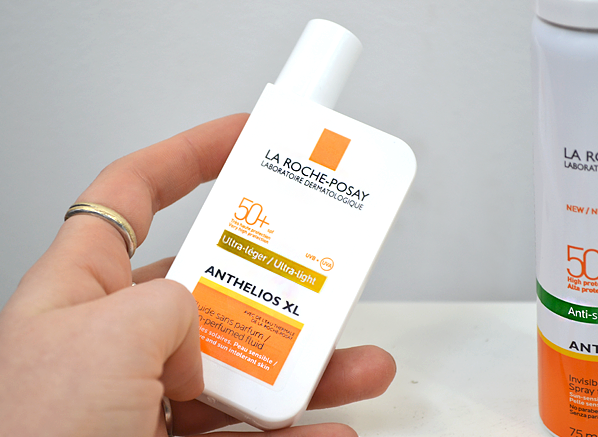 The La Roche-Posay Anthelios XL Ultra-Light Fluid is also available in an Anthelios Ultra Light XL Tinted Fluid SPF50, which is great if you don’t like to go barefaced at the beach. 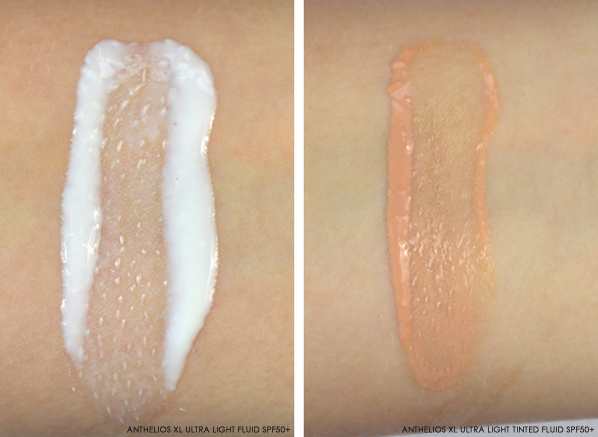 Shop the Anthelios Ultra Light body products here. For oily skin, the Dry Touch Gel texture is formulated with a double anti-shine action to keep your skin looking radiant and matte. More suited to a dehydrated and blemished skin type, both Gel-Cream textures are more hydrating than the Anti-Shine Matte Fluid, leaving you with no white marks, as they absorb quickly into your skin. 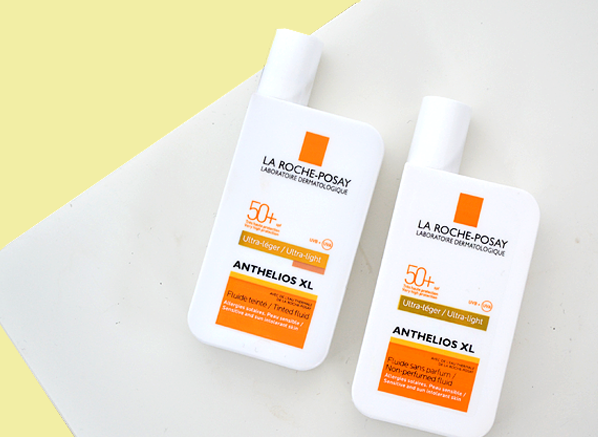 Whether you want coverage or no coverage, you can choose between the Anthelios XL Anti-Shine Dry Touch Gel-Cream SPF50+ or the Anthelios XL Anti-Shine Tinted Dry Touch Gel-Cream SPF50+ – the tinted version uses universal micro pigments to colour adapt to your skin tone. Lightweight and quick absorbing the AC Anti-Shine Matte Fluid is more suited to an oily skin that wants to keep their complexion shine-free and matte. Leaving no white marks, its non-sticky texture sits beautifully under makeup and has a stronger water-resistance than the Gel-Cream formula. Both Anti-Shine products work perfectly with the La Roche-Posay Effaclar skincare cleansers, moisturisers and care products. 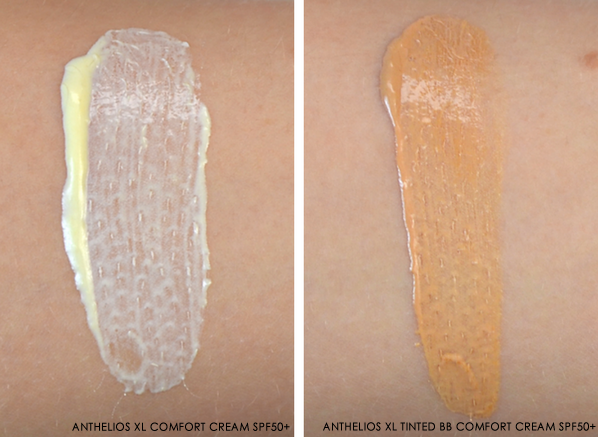 Available in Anthelios XL Comfort CreamXL SPF 50+, Anthelios SPF30 Melt-in Cream and an Anthelios XL Tinted BB Comfort Cream SPF50+ (for extra coverage), this highly moisturising formula is ideal for those who suffer from sensitivity and dryness. Resistant to water and non-comedogenic, its velveteen texture melts into your skin with ease, whilst topping up your hydration levels when you’re out and about in the sun. You can also shop Anthelios Comfort body products here. Don’t be fooled by the Anti-Shine branding, this sprayable SPF50+ mist is for everyone. A must-have for city-dwellers, beach goers and serious sports addicts, this easy-to-use SPF doesn’t dry your skin out, it simply protects with a lightweight mist that fits perfectly in your kitbag or handbag. 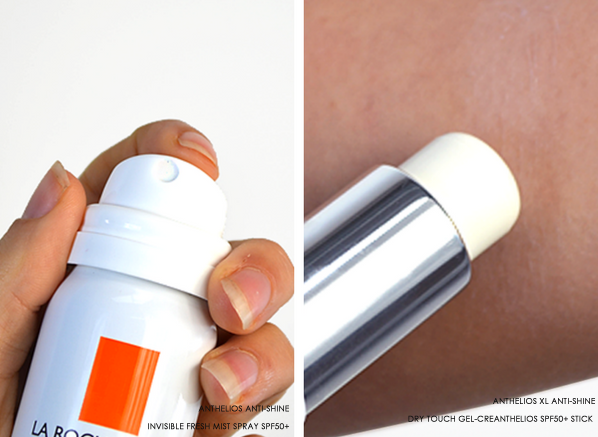 For on the spot SPF protection, the Anthelios XL stick is a must-have. Moles, lips, ears and eyelids can reap the benefits of high UVA and UVB protection with its easy applicator and portable packaging. This product is everything that I have been looking for in a sun cream. I have extremely pale and fairly sensitive skin, and my major skincare concerns are (1) protecting my skin from the sun to prevent ageing, (2) preventing sunburn on hot days and (3) preventing breakouts from clogged skin. So many sun creams smell very strong, so many leave the skin too greasy or shiny (or, worse, a deathly pale white colour) and not enough sun creams have a high, full spectrum SPF that prevents against UVA and UVB. This cream does everything: it's paraben-free and doesn't irritate my sensitive skin, it smells relatively normal, it doesn't leave my skin greasy or overly white (it rubs in almost instantly and is amazingly matte and clear), and, most importantly, it has a very high SPF protection. I wear this on my body and carry the dinky little tube in my bag wherever I go, and twin with daily application of Clarins UV Plus HP Day Screen SPF 40 (absolutely brilliant and also available at Escentual!) on my face. I cannot recommend enough. This entry was posted on Friday, May 19th, 2017 at 11:25 am and is filed under Essentials, French Pharmacy, Skincare, Sun and Tanning, Swatches. You can follow any responses to this entry through the RSS 2.0 feed. You can skip to the end and leave a response. Pinging is currently not allowed.